Eirian Davies, front row centre, receives a cheque from representatives of Swansea Social Services Drivers. On the right is Steve Evans organiser of this year’s Swansea to Brecon sponsored charity cycle ride. Steve Evans and colleagues, all drivers employed by Swansea Social Services, raise funds for good causes each summer by holding a sponsored Swansea to Brecon cycle ride. In June this year, they succeeded in raising £1924.00 and have chosen TWWPCaSG to benefit from their efforts. 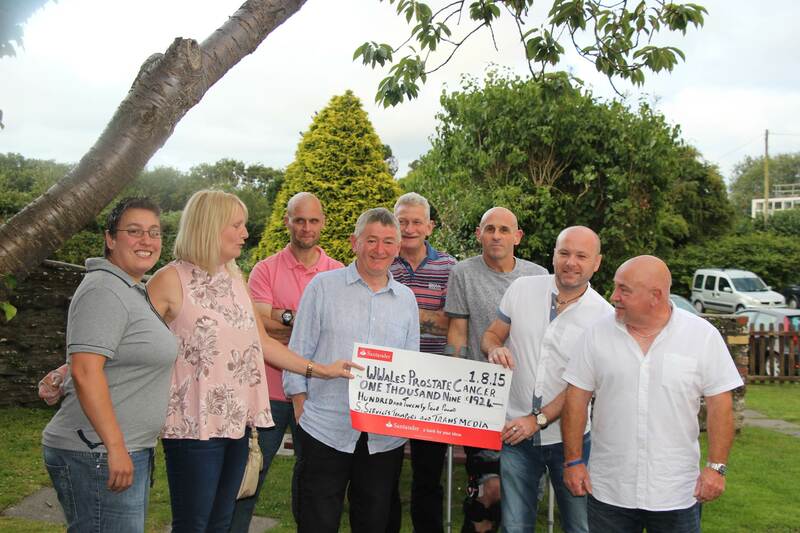 Our thanks go to all who organised and took part in the event and to our member Eirian Davies from Clydach who represented us, accepting the cheque on our behalf.